Cycling in Europe: Common sense triumphs, amazing! 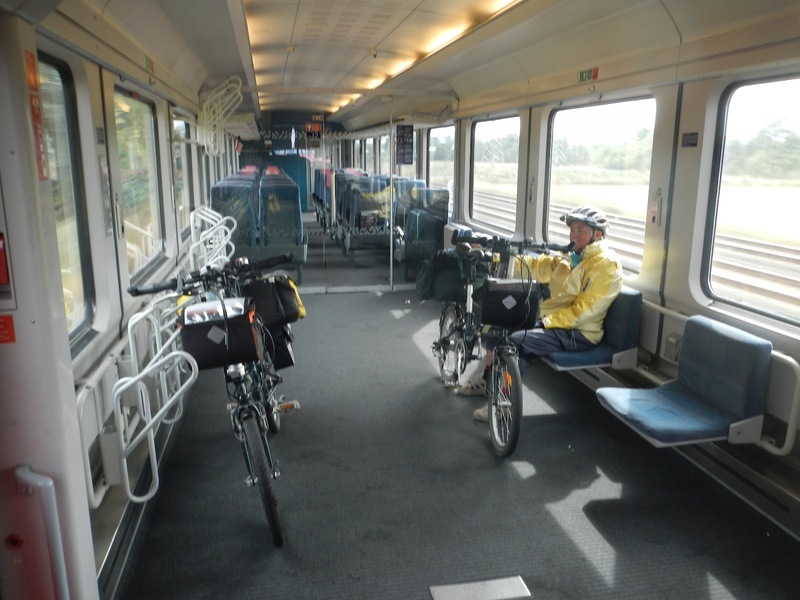 It appears to be believed in the upper floors of some railway administrations that as soon as bicycles need to be loaded on and off high speed trains there will be delays and the loss of five or six seats that are replaced by a bicycle compartment will ruin the economics of the trains. On Dutch, German, Italian and Spanish high speed trains bicycles except folders and bagged bikes are verboten. Common sense says that this belief is rubbish. Nobody bans mothers with prams or three children because they find it difficult to get on and off trains or they need room to put their Kinderwagen somewhere. Some of the French TGVs on the newer routes from Paris Gare de l'Est, for example take 8 bikes per train and seem to run profitably and punctually. Not very often, but occasionally I am amazed that a common sense approach to demands from the travelling public has been taken by the Fat Controllers of railway organisations. Recently the ÖBB, Austrian railways announced that all 51 of their premium railjet trains will modified to include a compartment to take 6 bicycles with plugs allowing e-bike charging while underway. This work will be finished in 2013. More information can be found on http://us2.campaign-archive2.com/?u=b0c3ff3f53e4c6a8be5677245&id=def475c28e. On the other hand, the new generation of German IC/EC trains, the ICx will offer 8 bike places, less than the dozen or so on offer at the moment. This model will also form the basis of the replacement ICE1 and ICE2 stock by the end of the decade. It could be possible to offer high speed transport for bicycles, but don't hold your breath. I have the feeling that the Fat Controllers believe that only "suits" with brief cases are the proper class of people to travel on ICEs. Bicycle space on an IC at present.